Johannesburg- The Independent Regulatory Board for Auditors (IRBA) has issued an investigation letter to Sipho Malaba, KPMG’s lead audit partner for VBS Mutual Bank, notifying him of a probe into the company’s audit of the bank which is currently under curatorship. In a statement on Friday night, IRBA confirmed that it is a mero motu (of their own accord) investigation and is not due to a complaint laid against Malaba, saying they had been monitoring developments around VBS Mutual Bank since it was placed under curatorship by the South African Reserve Bank (SARB) nearly a month ago. Business Insider reported on Thursday that KPMG suspended Sipho Malaba, the head of the group's financial services auditing unit, and the person responsible for signing off on the VBS Mutual Bank financial statements. The SARB meanwhile announced on Friday it had commissioned a forensic investigation into VBS Mutual Bank following revelations that R900m of the bank’s deposits of R2.9bn cannot be effectively confirmed. IRBA is the statutory regulatory body for registered auditors and their firms, and has the powers to investigate the professional conduct of registered auditors when there is prima facie evidence that an external audit may not have followed due process. The organisation said it was first sent a report of a reportable irregularity from KPMG on 11 April 2018. Malaba signed off the external auditor's report on VBS’ Mutual Bank’s financial statements until July 2017. Auditors are required by law to reveal reportable irregularities to IRBA. Fin 24 reported earlier that the initial findings of an assessment by the SARB's curator auditing firm SizweNtsalubaGobodo showed that VBS Mutual Bank was “severely mismanaged” and there was reason to believe there has been fraudulent reporting and manipulation of financial information. 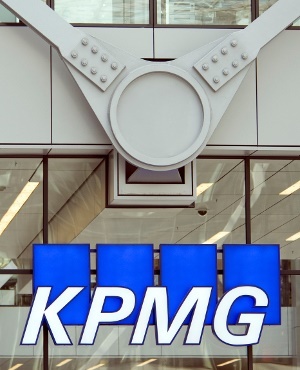 IRBA clarified that it only has jurisdiction over registered auditors and if other KPMG employees are Chartered Accountants CA (SA), it will be up to the South African Institute of Chartered Accountants (SAICA) to investigate the conduct of those employees. Malaba belongs to both industry bodies and SAICA told Fin24 on Friday that they needed to check with their legal team before commenting whether he'll face an investigation, like other KMPG executives involved in the Gupta account. Malaba was sent the investigation letter by IRBA on Thursday and he is required to respond within 30 days. IRBA will then conduct a preliminary investigation and the Director of Investigations will decide whether or not to refer the matter to the Investigating Committee. According to information on IRBA’s website, most cases are referred to the Investigating Committee. A recommendation is then made by the Investigating Committee to the Disciplinary Advisory Committee for a final decision on the sanction a registered auditor or firm should face. KPMG’s spokesperson Nqubeko Sibiya told Fin24 on Friday that internal investigations are still ongoing. “KPMG South Africa is investigating the matter in full cooperation with the curator of VBS Mutual Bank. Pending the outcome of the ongoing investigation, the VBS audit partner has been suspended. As the investigation is ongoing, it would be inappropriate to comment further at this time,” Sibiya said.